Harrington Strategies is dedicated to helping organizations select, develop, and retain top talent. Our passion is to facilitate change and growth by capitalizing on the power of human potential.  We help our clients hire better, fire less, and manage effectively. Our human resource solutions improve people processes by using cost-effective, scientific tools, paired with expert consultation. Hiring the right people for the right jobs saves time, money, and stress. Our pre-hire and employee selection solutions help you screen applicants, measure job fit based on core behaviors, and select the best candidates. Retaining top talent requires healthy leadership. Our training and development solutions help you evaluate the skills and effectiveness of your managers and leaders in order to improve training, management techniques, and communication. Building a truly cohesive, high-performing team is critical for business success. Our employee and team development solutions unite, align, and transform individuals into effective and productive team members. For the past 17 years, Harrington Strategies has been helping large and small businesses successfully overcome challenges and meet goals by providing customized, proven human resource management solutions. From manufacturing, technology, healthcare, and government entities, to service industries and non-profits, Harrington Strategies provides the power tools needed to effectively manage all phases of employment. Harrington Strategies and its team of professional strategic alliances will collaborate with your human resource managers, executives, and owners to help you meet your goals and needs efficiently and cost effectively, while capitalizing on the power of your organization's human potential. Irene's services and expertise are priceless! I came to Irene during a crisis at work and she used assessments and her own expertise to help me understand the situation and handle it with grace and professionalism. Not only is she personable, empathetic, and a great friend, but she has deep wisdom, honest and kind advice, and incredible tools to help you navigate the waters of the workplace. She was available night and day to work through the problem and her guidance saved me! She even checked in a week later to make sure everything was okay. Thank you Irene for your kind support, wisdom, and care. Irene Harrington has been a pleasure to partner with as we have been updating our utilization of the Selective Hiring tool. She has a keen understanding of our organizations’ needs and worked tirelessly to provide the support we needed to modify our benchmarks for selection. I highly recommend Irene and her team! The excellence of skill and talent, with hands on service is why we chose Harrington Strategies to handle our company’s high turnover and low quality hires. Through assessments, they were able to identify the barriers we were experiencing and help us select tools to achieve our goals for pre-employment, hiring and employee development. The correlation between the tools selected and the improvement in turnover and quality of candidates were significant, saving our organization thousands of dollars. Because of Harrington Strategies, we continue to successfully identify skills, talents and behaviors to improve the employment experience for both the company and the individual. I have worked with Irene Harrington and Harrington Strategies since 2008 and have found Irene to be highly knowledgeable, personable and dedicated to achieving success for every client. There are few people who take the actionable steps to ensure the voice of the client is heard and understood, and who follow through as thoroughly as Irene does. I would whole heartedly recommend Irene as a true partner with businesses who are interested in achieving success through selecting and developing their workforce. With Harrington Strategies, I have been able to develop team members to their fullest potential, which has decreased stress and tripled the revenue of my business! Irene has helped me find the right fit, the right development, and the right leadership to make my business a success. Our nonprofit clients have benefited from the expertise of Harrington Strategies for almost a dozen years. We have found Irene Harrington to be one of the most efficient and knowledgeable professionals in the field. On the many occasions we have brought her to the table to assist our clients in evaluating potential leaders, we receive compliments about Irene’s patience and nurturing manner, not to mention her almost 24/7 availability. Referring others to Harrington Strategies is a risk-free pleasure because we are confident they will deliver. I’ve known and worked with Irene for nearly 15 years. Her unique combination of broad and specific knowledge of human capital issues, combined with her practical mindset and experience with a wide variety of businesses (size, sector, stage of development), makes her an unusually powerful ally in tackling people problems in business. Well-educated in the world of assessments, she remains down to earth and unpretentious. Combine that with her sense of humor, and you will find yourself very pleased to be working with her!